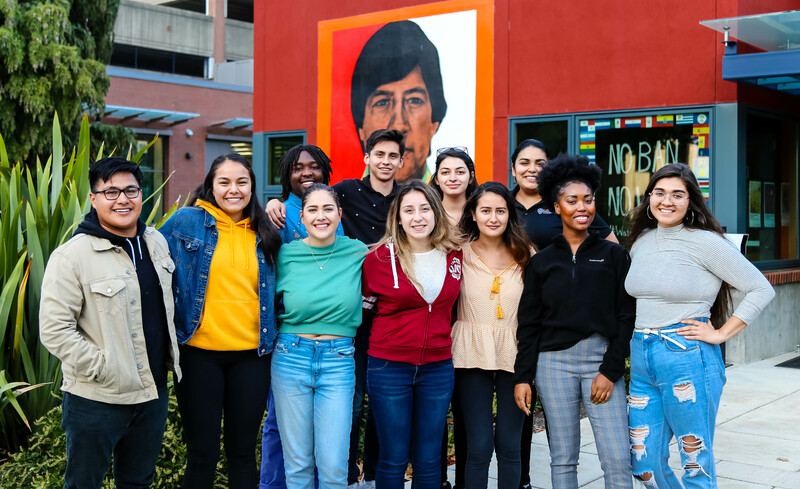 The Centro Cultural César Chávez exists to support the different ethnic and cultural peoples' pursuit of their educational goals and the retention of their culture. Further, it strives to inform both the respective cultural groups and the greater university communities about issues central to the Chicanx/Latinx/Mestizx culture and heritage. The Centro Cultural César Chávez seeks to provide an environment in which on-campus and online students are able to accept and appreciate their differences and also a place that encourages a sense of purpose and unity. The Centro is approaching its 45th year as a facility for allowing Chicanx/Latinx students to promote their unique and varied cultures while educating the OSU community at large. The Centro Cultural César Chávez was originally called the Chicano Cultural Center, it was established in 1972. Its original nine members met weekly in the basement of the Milam building. At the end of 1976 a new location for the facility was sought. The Chicano Cultural Advisory Committee, with Ramon Chacon as its chairman, Roselyn Esparanza, Juan Guzman, Emilio Vejul, Rico Garcia, and Bernard Pitts as its advisors requested that the university provide housing for the Center. The CCC was first given the house at 2475 Orchard Street and later the small house at 1969 SW "A" Street, which was to become the permanent Chicano Cultural Center. Originally the house was to have opened on December 1, but its opening date was postponed until January 21, due to the poor condition of the house. On April 13, 1977 the President of OSU, Dr. Robert MacVicar cut the ribbon to symbolically open the new Center to the public. In the following October, Eduardo Garcia was made the facility coordinator for the CCC. Under his administration, a wall was knocked out between the two front rooms and a sign reading "Chicano Cultural Center: Casa de La Raza" was ordered from the OSU Physical Plant.